By Chris Williams: WBO super bantamweight champion Nonito Donaire (30-1, 19 KO’s) made easy work of Jorge Arce (61-7-2, 46 KO’s) last Saturday night in a 3rd round stoppage in Houston, Texas. While Donaire’s loyal fans felt this was an excellent opponent just as many also felt that aging veteran Toshiaki Nishioka was a great opponent for Donaire as well, but knowledgeable boxing fans want to see Donaire fight the real top guys in the division Abner Mares and Guillermo Rigondeaux. Donaire hasn’t seemed very eager to fight Rigondeaux for some reason, but last night Donaire mentioned him as a backup plan for him if he can’t get a fight with WBC super bantamweight champion Abner Mares in his next fight in 2013. Actually, Rigondeaux has also been calling Donaire out for ages, but for some reason Donaire tends to only mention Mares as the guy that’s calling him when in reality Rigondeaux has been calling Donaire out for the longest of time without luck. 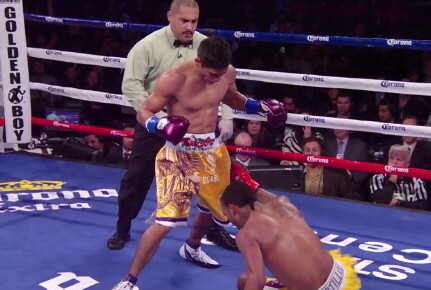 Can a fight be made between the Top Rank promoted Donaire and the Golden Boy promoted Mares? I don’t have high hopes in that happening. Besides the issue of the two promotional companies that don’t always see eye to eye, Mares fights for Showtime, and Donaire for HBO. That right there is going to make it next to impossible to put the fight together because neither cable company will likely be happy to see their fighter competing on another network, and I don’t think it’s feasible for HBO and Showtime to show the same fight on the same night. That’s a not a good situation. If Donaire’s promoter can’t get fights with either of those fighters then Donaire will likely move up to featherweight and look to capture one of the title straps at that weight. I don’t see why Top Rank couldn’t put a fight together between Rigondeaux and Donaire, however, because both guys fight for Top Rank, so there shouldn’t be any problems unless one of them isn’t interested in the fight.